Technofert range is designed for use in alkaline soils. All formulas under Technofert brand contain special additives, organic and chemical acids. All Technofert formulas pH levels are around 2. This feature of the product increases the availability of nutrients, prevents insoluble plant minerals formation and increases the mobility of the plant nutrients in alkaline soils. It is a crystalline powder and has easy and safe handling. Its acidic nature helps cleaning the drip lines and prevents clogging in the irrigation systems. Technofert has 5 different formulas available for different phenological stages of the plant. Technofert™ is produced by high quality raw materials, and is highly soluble. It enables effective uptake, yield, quality and earliness since it optimizes the soil and irrigation water during fertigation. Technofert™ is under the DRT quality assurance. Every product put on sale is applicable to the Standards of Fertilizer Regulations of European Union. DRT has the TS EN ISO 9001:2008 licence of Quality Management System. It is applicable to International Quality Standards. Technofert™ Special Fertilizer Series application in nurseries and foliar use, please make sure you definitely check the pH of the solution and get professional assistance. It is not suitable for hydroponics. For further information, please contact our regional distributors or DRT offices. Technofert™ product range is an absolute and fast water soluble, providing distinctive advantages such as more effective and easier absorbance in plant nutrition, owing to the special raw materials and additives it contains, together with high quality NPK and high proportion of chelated micro elements. The soil pH requirements of cultivated plants are generally between 5,5 – 7, but majority of the soils used for high yield an quality crop production are not featured with this quality. 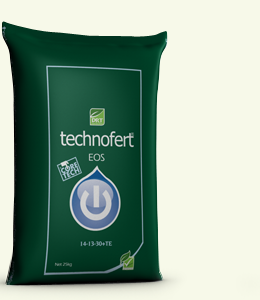 Technofert™ meets the needs of additional nutrition requirements of plants in cold, wet and alkaline conditions with the help of its improved formulations. 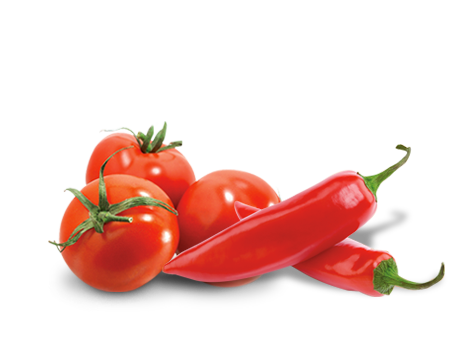 It is a specially designed product to achieve a good start and improvement (development), early and quality crops. It improves yield and quality, saves time and reduces the cost with its easy application. Special additives + special raw materials; It is a distinctive formula, more convenient to the root structure of the plant and to the rhizosphere, providing more effective and easy absorbence. Organic acids help the absorbance of plant nutrition elements. They reduce the nutrition elements to be washed out, and minerals to form dissoluble compounds. Metals such as iron, manganese, copper and zinc available in soil are generally in the form of compounds difficult to dissolve in water. Organic acids help to enable the absorbance of these minerals by the plants. Technofert™ is in chrystal form and also has strong acidic features. It is not necessary to use additional acid in the programs in which Technofert™ is used. It is easy to transport and apply when compared to liquid acids since it is in crystal and liquid form. Owing to its anti-clogging features, it keeps irrigation systems clean, prevents clogging, and provides proportional distribution of water and fertilizer. For basal soils where phosphorus uptake is difficult, it supports root development owing to its special content in cold and wet conditions. Suitable for drip lines fertigation in ornamentals, vegetables, fruit crops, open-field and greenhouses and other soil grown crops. Rich content and a different formulation. Also suitable for leafy vegetables and for some open field crops during whole season. Complementary part of the fertigation programmes. Contains extra magnesium and sulphur. Multipurpose formula to stimulate flower and fruit production. Suitable for all crops. Designed for reproductive phase. Special formula for fruit crops, greenhouse vegetables, flower bulbs, or strongly K-fixing soils. Contains extra magnesium and sulphur. It increases the crop yield and quality, and resistance of the plant against the environmental stress conditions in the productive periods of vegetables, fruits, bulb and tuber plants. *Cu, Fe, Mn and Zn are EDTA chelated. **All values are w/w % unless otherwise specified. Technofert Brochure Download click here!